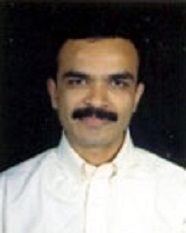 Dr. Satish S. Maheswarappa is an Associate Professor in the area of Marketing at Indian Institute of Management Lucknow (on lien to Indian Institute of Management Tiruchirappalli) since January 2010. He has done his post graduate diploma in management (SPA) from Indian Institute of Management Ahmedabad and completed his PhD from Indian Institute of Technology Madras. Prior to doctoral study, he has over ten years of corporate experience. His areas of interest are online information search behaviour, information processing, consumer socialization, processing of advertisement and consumer decision making. Mishra, Anubhav, Maheswarappa, Satish S., and Colby, Charles (2018). Technology Readiness of Teenagers: A Consumer Socialization Perspective, Journal of Services Marketing, Accepted for Publication. Mishra, Anubhav, Maheswarappa, Satish S., Maity, Moutusy and Samu, Sridhar (2018). Teenagers’ eWOM intentions: A Nature vs. Nurture perspective, Marketing Intelligence and Planning, Accepted for Publication. Mishra, Anubhav, Maheswarappa, Satish S., Maity, Moutusy and Samu, Sridhar (2018). Adolescent's eWOM intentions: An investigation into the roles of peers, the Internet and gender, Journal of Business Research. Mishra, Anubhav and Maheswarappa, Satish S. (2018). “How Content Valence and Online Impression Influence Goal Achievement in Social Media Environment?” Global Business Review, Accepted for Publication. Maheswarappa, Satish S., Bharadhwaj, Sivakumaran and Kumar, Arun (2017). Returns to Search when Consumers Use and Do Not Use Recommendation Agents, Asia Pacific Journal of Marketing and Logistics, Vol 29 No. 4, pp. 1-26. Srivastava, Ekta, Maheswarappa, Satish S. and Bharadwaj, Sivakumaran (2017). Nostalgic Advertising in India: Content Analysis of Indian TV Advertisements. Asia Pacific Journal of Marketing and Logistics, Vol 29 No. 1, pp. 47-69. Mishra, Anubhav and Maheswarappa, Satish S. (2016). eWOM: Extant Research Review and Future Research Avenues. Vikalpa, Vol. 41 No. 3, pp. 1-12. Maheswarappa, Satish S. and Bharadhwaj Sivakumaran (2010). Patterns of External Information Search Behaviour among New Car Buyers: A Two-Step Cluster Analysis. IIMB Management Review, 22, 1/2, 5-15. Kumar, Rajesh and Maheswarappa, Satish S. (2007). Product Innovations and Wealth Creation- Evidence from India. Journal of Applied Business and Economics, 7, 3, 94-114. Chairman, Thesis Advisory Committee for Mr. Sushant Kumar (2011-2014). He graduated in the year 2014. Chairman, Thesis Advisory Committee of Ms. Ekta Srivastava (2013-2017). She graduated in the year 2016. Chairman, Thesis Advisory Committee of Mr. Anubhav Mishra (2014-2018). Graduated in the year 2018. Chairman, Thesis Advisory Committee of Ms. Kriti Krishna (2016 – Current). Working on the methodology and data collection.